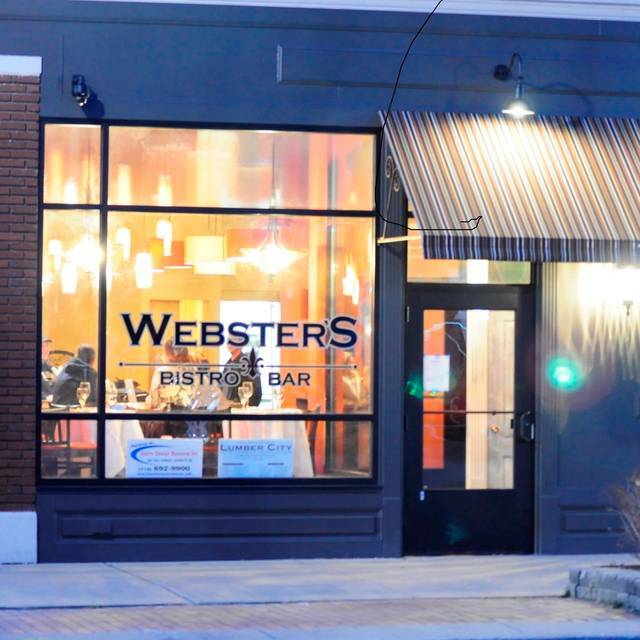 You must make reservations at least 5 minutes in advance of the time at Webster's Bistro & Bar. A private parking lot for the restaurant is located three doors down, to the right of 110 Webster Street. Street parking is also available on Webster Street and Goundry Street. 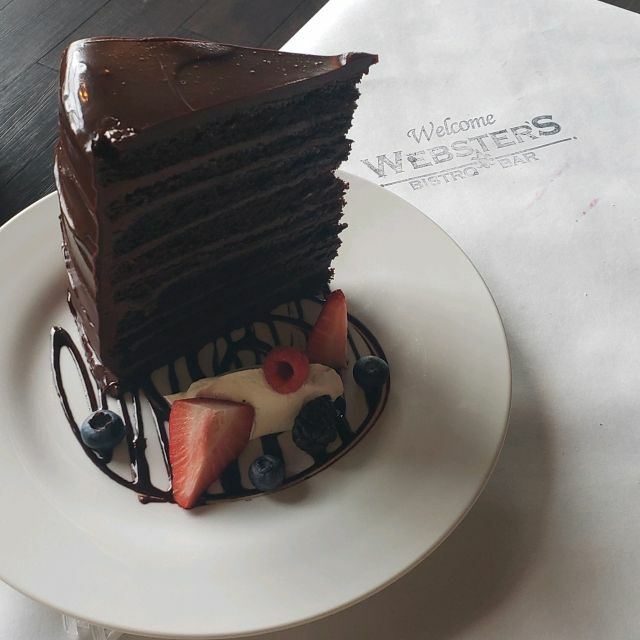 Located less than 20 minutes from Niagara Falls and downtown Buffalo, Webster’s Bistro & Bar is a casual fine dining restaurant that combines traditional French cuisine with classic American favorites to create an interesting menu with a wide variety of options to suit your family and friends’ preferences. 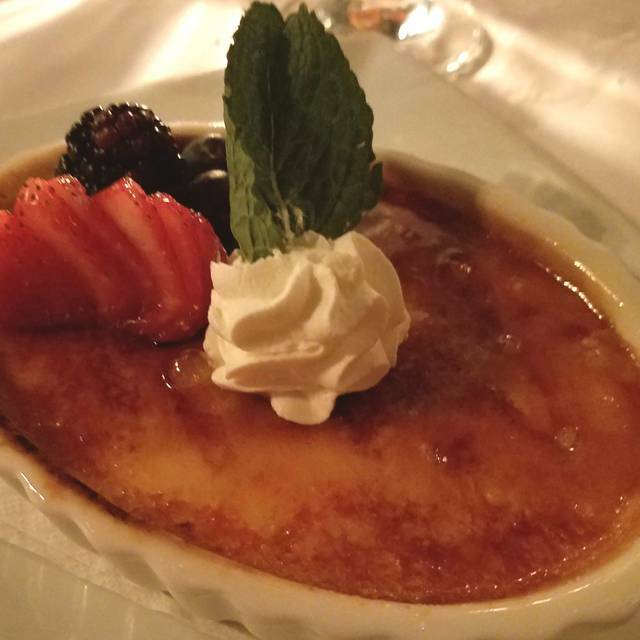 Popular menu items include Chicken Francaise, Beef Bourguignon and Bouillabaisse. 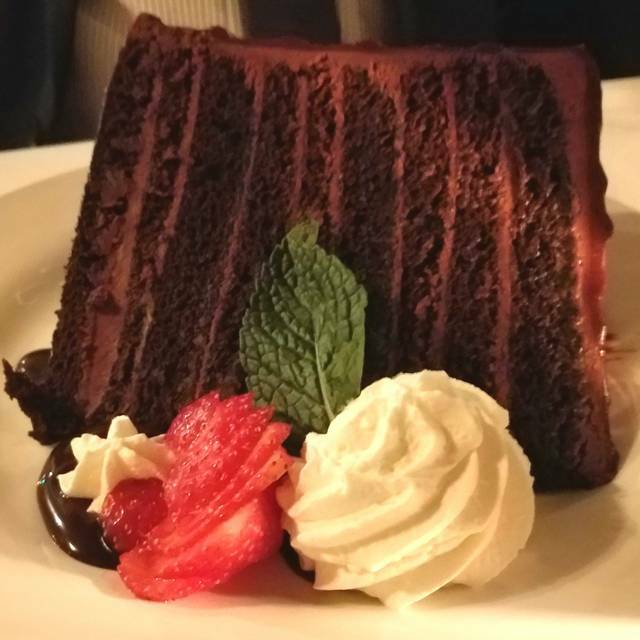 To complement its French-American cuisine, Webster’s Bistro’s extensive wine list features a number of French wines, as well as several wines from California, Washington, and even New York. 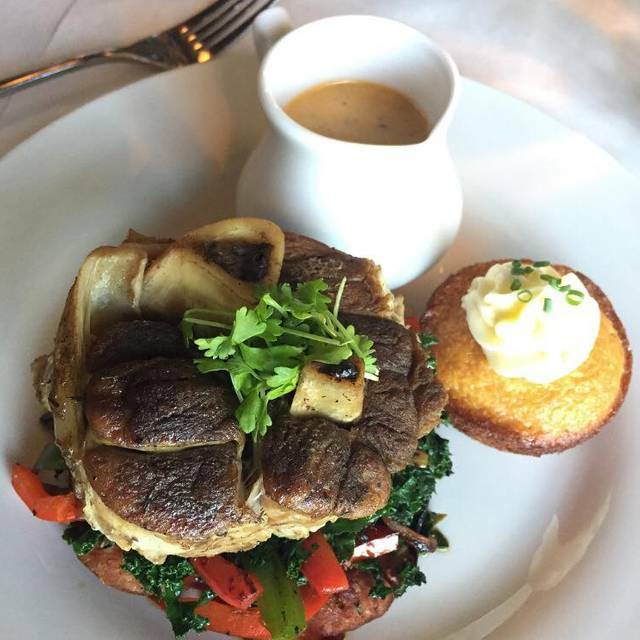 No matter what dish you choose from the menu at Webster’s Bistro, there will be a fabulous vintage to pair it with. Though it’s only been open since 2013, this restaurant already enjoys a reputation for excellence in quality and service. Enjoy $5 Small Plates, Beer, Wine, and Cocktail specials from 4 to 6 Tuesday- Friday. Also from 4 to 5 pm on Saturday evenings . French style bistro ambiance with delicious food, nice decor and wonderful service. I have been there several times and always enjoy the experience. As always, Webster's had a great atomosphere with terrific service. Because my old favorite, the cassoulet, was removed from the menu (bring it back!!!! ), I had the beef short rib. The sauce was delicious and the presentation dramatic. I found it a bit difficult to eat, but my friends all loved their meals. Everyone was very friendly from the minute we walked in the door to the minute we left. The food was delicious and came out in a timely manner and hot. The presentation was nice too. 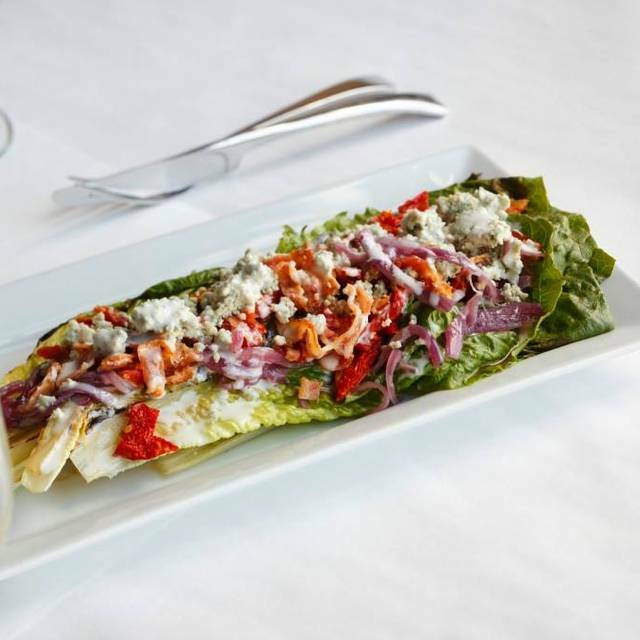 The grilled romaine salad was the perfect thing to start with. What a wonderful way to celebrate our 43rd wedding anniversary! Everything was PERFECT... service, food ambiance!! We will definitely be back! One of the best places to dine in North Tonawanda. Food is always exceptional and the ambiance is perfect. Awesome food!!!. My wife and i love the food. Amazing restaurant!! Service was great. A gem in nt! The only reason that I gave the food four stars was because it could have been a bit hotter. I ordered the filet, medium rare, and while that means the filet is not as hot, the potatoes, and asparagus could have been. Other than that, the escargot, beet salad, bone marrow, and the rest of our dinners were as always, delicious, well cooked, and innovative. We were checking it out for a future anniversary dinner with our parents, and we all agreed that the atmosphere, food, and service were over the top, and we are planning to make this our 65th Wedding Anniversary destination for our parents. 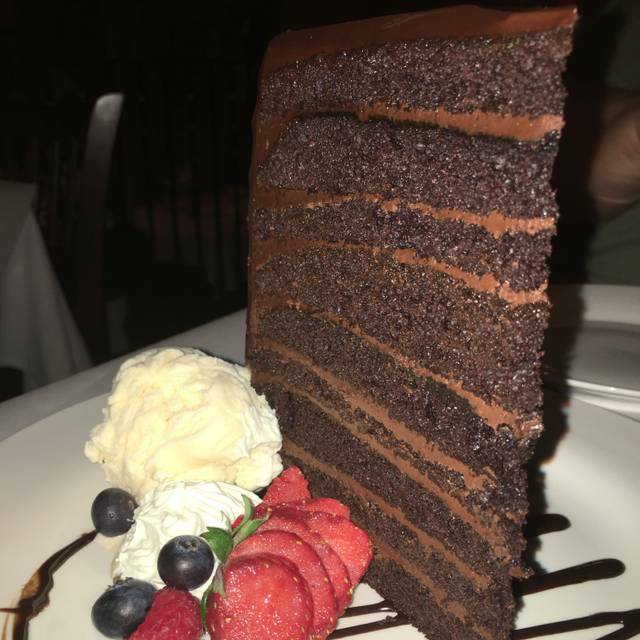 We were only disappointed that we didn't have room for the 17 layer chocolate cake on the dessert menu! Next time! Service was wonderful & we loved the atmosphere. We were seated in the only booth in the bar which was ok, but would’ve preferred the restaurant. The short ribs were amazing. French onion soup & burgers were also enjoyed. We will definitely be back. This restaurant by far is the most comfortable, relaxing and tasty experience. The food is excellent, the people are attentive to your needs and I was very pleased. I tried this restaurant for restaurant week but I will definitely go back. Recently came here for Restaurant Week - loved it! Great food, great service, and we also came on a Wednesday and took advantage of their 50% off select wines. We'll definitely be back. Service was excellent, extensive wine list (we had a bottle of Cabernet at $38-can’t beat the cost) & most importantly, the food was delicious as usual. You will not be disappointed! Celebrated our 29th wedding anniversary with a fabulous dinner ! Always an enjoyable experience at Webster’s ! The food was awesome and the service was outstanding! Food was delicious. The scallops were awesome with the parsnips, grapes and beet purée. The chicken franchise with risotto I was glad to see back on the menu. My only request would be for the chicken to be a cutlet rather than a thick breast piece. But it was delicious. Lemony goodness enhanced by the artichokes. We chose a chateau st Michele reisling that paired well its both dinners. Beignets were the finishing touch. Glad to see they were still on the menu. Seafood stew was excellent as well as the Chicken Francaise. Excellent service. nice table, good service, delicious food, especially the burger. Marie Antoinette cocktail is delicious. I like the rewards card and specials they offer. My favorite restaurant. This was my 1st time eating at Websters, as I went to use the mystery coupon I'd gotten at their demo kitchen next door. Our server, Caleb, was awesome, as he made excellent drink and entre' suggestions. The drink menu was so hard to choose from, but what we chose was refreshing! For our starter we had a unique and delicious banana pepper/cream cheese dip with french baguette bread and had the steak & chicken caprese, as our entre'. It was truly a wonderful experience, one that I look forward to enjoying again in the future! First time here and will definitely go back!!! great service our waiter was outstanding! Food was good but not as good as we have had in the past at Websters. Our fav item was always the french onion soup bit it seems like the recipe has changed... Still good but not as good as the past it seemed sweeter? Just as we remembered from the last time we were there. Enjoyed the evening very much as it was our 49th wedding anniversary. We will recommend Webster's to others and will return. 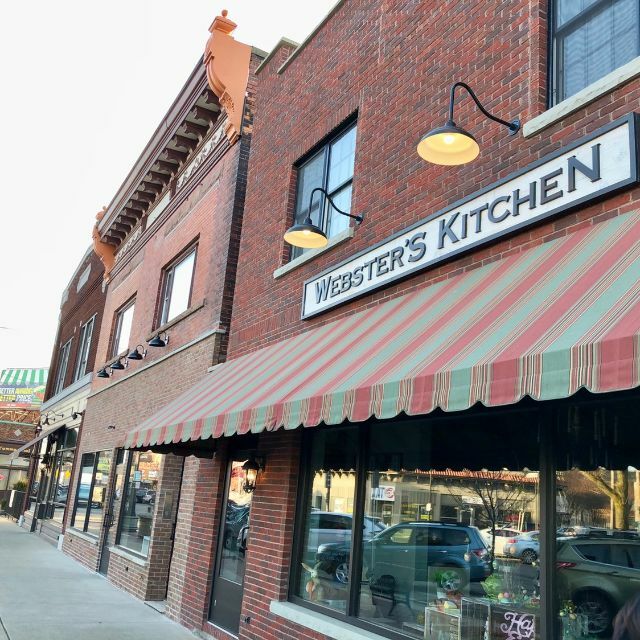 We are regulars at Webster's, and have consistently had an excellent experience. The food is always very good, and the service is outstanding. It's a real gem. 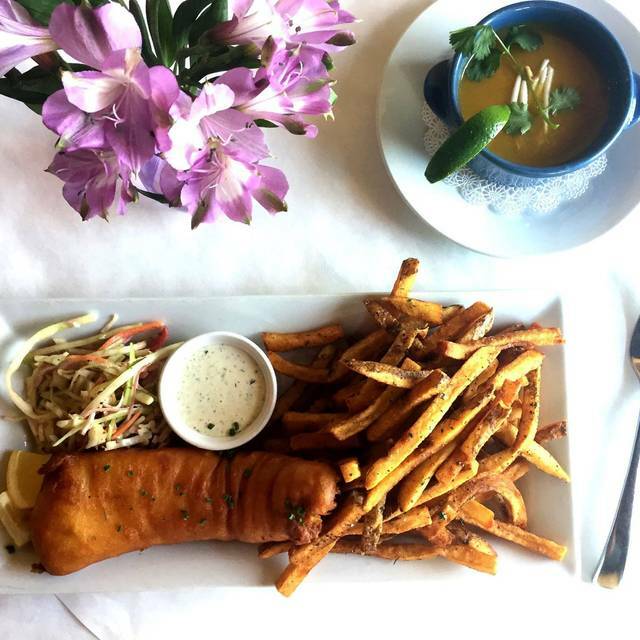 On our most recent visit, my wife had the whole trout, which was superb, and I had the cod, which was very good -- both of these were specials, which were welcome since we've pretty much been through the regular menu already. The bar is playing with some creative cocktails, much appreciated. As always the ambiance, and service was outstanding. Sunday menu less than expected. Did not have any of our favorites. Wonderful dinner celebrating my husband's birthday and our anniversary with long time friends. Our server didn't rush us and was very accommodating. I am watching carbs and she knew her menu and the preparation and made great suggestions. Everyone's dinner was fabulous, Trout, Pan Seared Ribeye, Beef Short Ribs and Filet Mignon. My Filet was prepared to temp, and so flavorful and tender, the French Onions soup was robust and sweet at the same time, and the vegetable(s) were cooked crisp tender. The owners Barb and Kevin were so gracious, can't wait to go back! We had a wonderful dinner. Service was amazing. The food is very good and reasonable. The cocktails are incredible! The entire evening was relaxing. Cocktails at the bar, unique wine list and delicious food. We found the staff to be experienced and very professional. We look forward to our next reservation! The Tuesday Special was great and my Happy Hour Cosmo was perfect! Food and service was wonderful! Everyone was very attentive! Definitely get there early for happy hour, the well drinks were 2 for $5.00. With other specials as well. We had one of the 5$ apps, a mushroom puff pastry, excellent. They had 3 oysters for $5 but they were out of them. Our table was ready on time and we took our drinks with us, nice sip on as we waited for our bottle of wine, it was a red “cigar and bourbon” California, perfect. We ordered both types of Escargot, hands down the best was the one with the spinach and bacon, it was not overwhelming just perfect. I had the Orange duck which was very good especially the meat, not fatty at all. The only criticism I have is that it could have more of an Orange glaze, the only orange in it was a few thin rinds. My husband had the Pork Chop which was GIANT! He is a huge meat eater and actually took some home. So I will give this restaurant a 10, by the way, the service couldn’t have been better. Very comfortable place with low noise levels. Food is as good as any Paris bistro that I've visited. Ownership and staff care which makes any visit unique and a gastronomical treat. Food was very good from the appetizers to the main course. Great place! food as always,outstanding. service impecable. If there is anything that could use improvement it's the parking lot. An over all wonderful experience. We had a lovely time. Our waiter was excellent. His service was there when needed without over bothering us. He was very pleasant, too. Kudos to him.